“It’s official—the holidays are around the corner. How do I know? Relatives are asking for Christmas lists so they can get their shopping done. The commercials on TV are rolling out their latest toy temptations to get children drooling. Even the shopping malls and discount stores are busy stocking Christmas decorations just in case you feel like getting a jump-start on your seasonal lawn ornaments and light displays. With all this Christmas hoopla, it’s easier than ever to lose focus on why we celebrate Christmas in the first place. 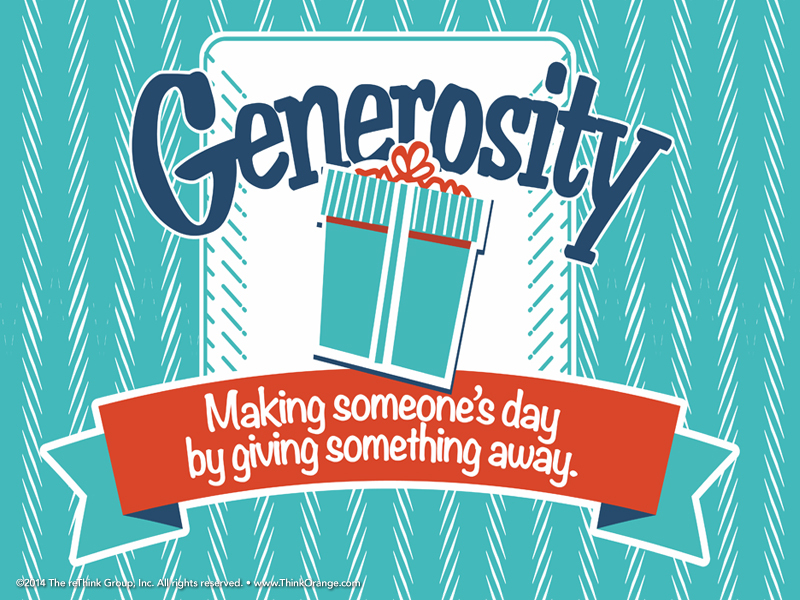 That’s why we want to spend this month talking about Generosity: making someone’s day by giving something away. 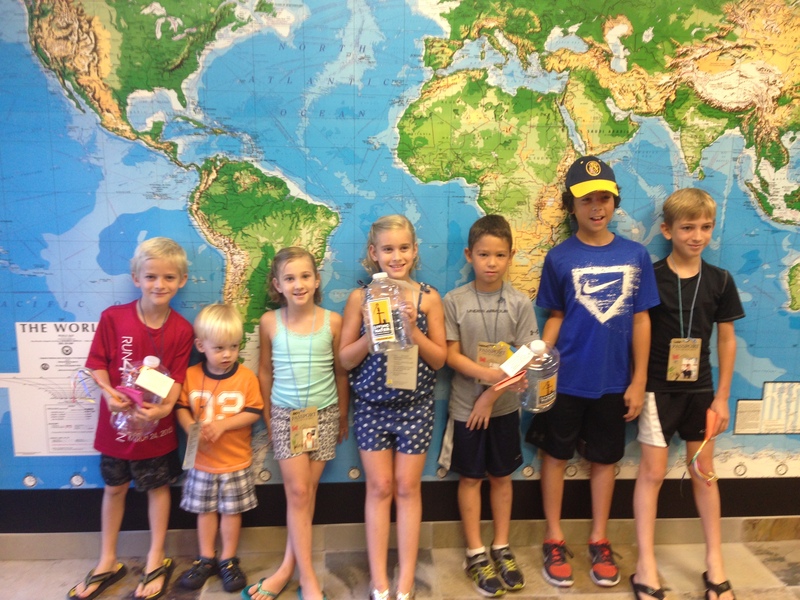 We hope kids get wrapped up in others as they show them how much God has been so generous toward us. There’s a danger in getting so wrapped up in ourselves or so wrapped up in our things that we miss the essence of this season. There’s just something about giving that reflects the character of God to those around us. Every good thing we have is a gift from Him. But we also know that God’s generosity has a purpose. God gives to us and expects us to do the same for others in return. Generosity changes us when we learn how to give the way God gives. This month, we’ll look at four great stories from the New Testament that help us understand God’s plan for generosity in our lives. In Week 1, we start our month on generosity in Luke 12:13-21 with a parable Jesus told about a rich man who was wrapped up in the wrong thing. He worried more about storing up more stuff and ended up losing everything that really mattered. Our Bottom Line is: Don’t get wrapped up in your stuff. In Week 2, we get to eavesdrop on a conversation that Jesus had with a rich ruler that Luke recorded in Luke 18:18-25. This man was so wrapped up in his stuff that he couldn’t let go of what didn’t really matter in favor of what mattered most, a relationship with Jesus. Our Bottom Line is: Get wrapped up in what matters most. In Week 3, we celebrate that God sent us the greatest gift when He sent us Jesus. Through John 3:16-17 and Luke 2:1-18, we will focus on Jesus’ birth as we pause and remember that God gave us His only Son, so we could have a personal relationship with Him. Our Bottom Line is: Get wrapped up in Christmas. In Week 4, we’ll see that the wise men knew how to be generous. In Matthew 2:1-12, we read about the men who came to visit Jesus. They went above and beyond to see Him and show generosity. Our Bottom Line is: Get wrapped up in giving. Click HERE for the December Baby and Toddler Parent Cue. Click HERE for the December Preschool Parent Cue. By Dan Scott ©2014 The reThink Group. All rights reserved. http://www.ThinkOrange.com *Used by permission. Kynley and Avery were each saving money for something special–until a field trip convinced them to give money away instead.